Tales of the Wild, earth’s finest botanicals, today’s feature for our 25 days of Giving campaign, is the creation of Amy and Richard McDowell, a Vancouver Island couple dedicated to making the purest natural botanical remedies, facial and body oils, and unique skin care products. Fortunately, they agreed! And now we are happy to show off a wide range or their selection, including some incredible gift sets, lovingly assembled in wooden boxes, with their elegant bottles and magical crystals. 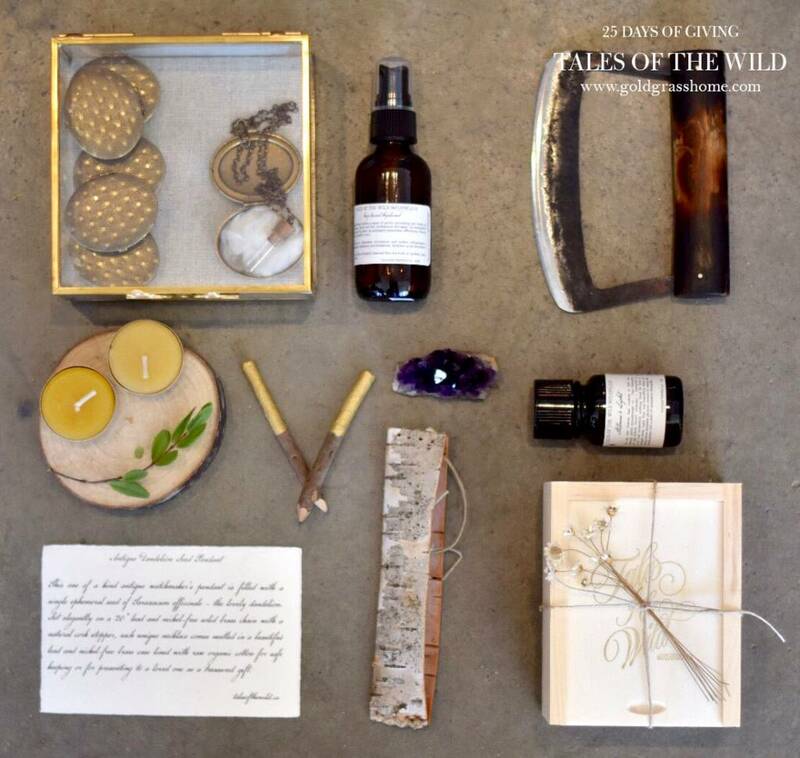 Tales of the Wild’s unending commitment to quality, craft and purity mean that they are a perfect gift for even the most discerning person on your list. Even the person that has everything probably doesn’t have anything this cool. We’re raising the stakes for our 25 days of Giving campaign. By taking part, you’re not only getting awesome natural gifts for friends and family, and helping us support a great cause, you also get 10% off the daily feature, and now 15% of the sale will be donated. And you’re also entering to win an Ultimate Spa Kit, valued at over $1000. It’s an amazing gift pack stuffed full of the world’s finest and most luxurious skin and spa products, bath linens and other goodies!